Ouya Gets OnLive Support, But Is It Enough? The highly-anticipated Ouya gaming console got some high-profile backing on Friday: OnLive announced that it will offer its on-demand gaming service on the $99 Android-powered console when it launches in 2013. Ouya has raised more than $5.6 million through the crowdfunding site, Kickstarter, in just a few short weeks. The project has almost 44,000 backers, and has far surpassed its goal of $950,000. The funding period still has about two weeks left. Having OnLive on the Ouya console will give users access to hundreds of games when the console launches. Familiar OnLive features, such as the ability to continue games across multiple supported devices, will also be available, according to OnLive's blog post. 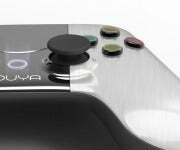 Adding OnLive to the Ouya was a frequent request from its backers, one of whom described the potential partnership as a "dream in the living room." Indeed, for gamers it's just that: the ability to stream games directly to a console is something console makers have talked about for a long time, yet nobody has made a true effort to act on it. Even with OnLive on board, there are still some issues with the Ouya that could prevent the console from becoming a success. First off, there are few Android games optimized for a large screen--Ouya gamers won't want to be playing scaled-up versions of games intended for smartphone screens. The console's creators will have to take a proactive approach in getting game developers to sign on, thanks to Android's decentralized nature. Second, there's the issue of piracy. Android is plagued by rampant piracy, and the issue has even driven some developers to just give their games away for free. The piracy problem might scare developers off of creating bigger and better TV-optimized games for the Android platform. Having OnLive on board is great, but without developers on board the Ouya isn't much more than a glorified Apple TV for gamers. Streaming games in our living room is great, but it doesn't fix some of the more pressing issues.